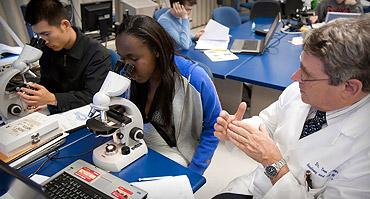 UF College of Dentistry students and faculty participate in programs such as the We Care Physicians Network (352-334-7926) and CHOICES. Such programs provide limited services for qualified individuals that may be reduced in fees. 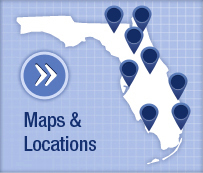 The UF College of Dentistry has a Statewide Network for Community Oral Health with locations throughout Florida. In addition to the UF-owned dental centers in Gainesville, Hialeah, Naples and St. Petersburg, the college's dental students perform community rotations and provide care in affiliated dental centers as part of their education. Almost all of the patients treated live at or below 200% of the federal poverty limit. Faculty, residents and staff from the Department of Pediatric Dentistry currently provide care one day per week at this rural, not-for-profit health care facility located in Brooker (approximately 20 miles north of Gainesville). The dental clinic is two years old. There are eight dental chairs; two are located in a separate suite. The clinic area also houses an office/reception area, a dental laboratory, a radiology room equipped with panoramic and an intraoral radiology machine. ACORN Dental Clinic first opened its doors in 1987, operating out of a donated trailer on the ACORN property. Today the ACORN Dental Clinic is a modern full service facility with six dental chairs and a two chair oral surgery suite. Open Monday Friday, 8:00 a.m - 5:00 p.m. In February 2008, CHS expanded its dental health care services in Collier County by opening the Countryside Dental Center. Our philosophy is based on the concept of Preventative Dentistry. Our mission is to provide basic pediatric dental services and make our pediatric and adolescent dental services available to your child and all children in Collier County. Our goal is to provide your child with a happy and healthy dental experience. The office is conveniently located just south of Davis Boulevard at Heritage Trail in East Naples. Orthodontic and surgical referrals are on an individual basis. Affectionately known as "The Molar Express," the Leon County Health Department Center for Dental Care and Prevention provides dental services to Medicaid-eligible Leon County residents ages 5 through 20. Built in 2005, our train-themed facility was designed to deliver quality dental care in a child-friendly atmosphere. We also provide clinical education for students and residents from the University of Florida College of Dentistry, Tallahassee Community College Dental Hygiene/Dental Assisting Programs and the Tallahassee Memorial Family Practice Residency Program. Part of a community-wide safety net of health-care services, the center is a Federally Qualified Health Care Facility one of two in Duval County. 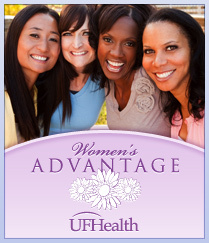 The center benefits from the services of nurses, doctors, residents and interns from the University of Florida, Florida State University, Jacksonville University and the University of North Florida. The campus is home to the Hugh H. Jones Medical and Dental Building, which offers a complete range of health-care services to residents of the Sulzbacher Center and to others in need in our community. Sulzbacher Center dental clinic is the only full-time adult indigent dental clinic in the Jacksonville community and provides comprehensive care from compassionate, skilled professionals. There is a $25 per-visit charge for all patients, and if lab work such as dentures is required, there is an additional charge. Patients should come to the clinic with their payment to make their first appointment. Payments are nonrefundable if patients do not cancel their appointments 24 hours in advance.